Great idea and congratulations on this project! It takes vision and guts to start a project of this nature but the rewards personally and globally are worth it! Taking risks and living your passion is not done by enough people. I will be following you on your journey. Your commitment to making the world a better place is inspiring. Many people have hopes, ideas and dreams – which is wonderful and an important impetus for creating change! Setting these thoughts into motion however is not an easy undertaking. Courageously, you have opened yourself up to your readers and have managed to transform your hope for a giving world into action with the conception of 365 Give. Giving has always felt synonymous to living in my mind. I feel that by pure matter of existence, giving should take place in human beings. From the food we eat, to the roads we travel, to the vocations that we hold, we live alongside fellow citizens whose lives are interconnected with our own. How can we take without giving back somehow or contributing to local and global communities in a positive way? As an educator, I view altruism as the single most important competence for children and human beings to posses. Children need to experience genuine care and have altruistic behavior modeled for them. For parents and teachers alike, 365 Give can serve as a model for giving and as a platform for discussion.  365 Give will help some individuals reflect on the ways that they are already giving and will aid in encouraging such conduct as well as in promoting the exploration and adaptation of new ideas and ways to give. Others will be motivated to look for ways that they can begin giving. The possibilities for positive outcomes connected to this movement are endless! Thank you for leading us all! How do I even reply to such a wonderful message. I think you should be a guest writer on the site. My goal is to make the world a better place for our children and coming from an educator if this initiative can have an impact on the next generation it will the greatest give of my life. Thank you for taking the time to comment. It will be my readers and supporters that will inspire me through the journey. Heya! Launch date almost here! I am stoked. Wanted to share something wonderful with you. Today I picked up my elderly neighbour’s garbage cans for her…took 2 min and trying to show my kids how to give! Count me in for another 10 km…and i do this everyday. I no longer use a car as it is easier to walk so each day you can bet on 10 km from me. Today our event in Playa del Carmen, Mexico, Taste of Playa at http://www.tasteofplaya.com gave 140 sports balls, to a local childrens sports center so that hundreds of children have access to good quality basket, volley and soccer balls for their sports activities. we do a few donations each year but today was our tribute to local children day! Very sweet of you, Sareh is my good friend as well! Hope all is well with her and please send her my best. I am sure your thoughtfulness and nourishment will be much appreciated by the whole family. I’m gonna walk over to the farmer’s market with the kids this morning and buy some goods for my single friend down the street who has mono! You’ve both inspired me. the soup was yuuuuuumyyyy as was the cobbler. and yeay, i was your give!!! woot woot!! Another good program is also offered by North Shore Athletics. You can donate your used shoes and they will in return donate them to homeless people or those in need of shoes. yeay. thank you for this beautiful article. and thank you for giving our baby stuff to the right people. i think that foster parents are a higher breed of human. i once the read the most beautiful article written by a foster mom who took care of a baby from birth to 7 months, and i could not stop weeping as she described putting her baby into a car, knowing it would be the last time she saw him. my son, lennox was 7 months at the time, and i could not imagine what compassion it took to do sleepless nights with a child that is not your own. i also could not imagine the strength and true love it takes to let them go. wow! wow! wow! Wow! Thank you so much for this generous gift! I read this earlier today and felt very moved. Your words tugged at my heart-string. WOW! so just 3800 to reach your goal! how fab is that! i am sure a few more anonymous donors will come your way and get you to Toronto to go head to head with Chef Ramsay! you go girl, this is all working out just great! Thank you for a most memorable and fun evening at the Chef’s Challenge last Saturday. It was both fun, edible, and thought provoking ! Fun to be involved and observe all of you participants having a once in a life time experience, with Gordon Ramsey and the other great Chefs. To watch the flurry of anxiety in competing and the relief of completion . And personally to be an observer without that tension ! To experience the same great menu as you cooked – but cooked by the local chefs of the establishment we were in. Thought provoking for those with cancers that have had to endure much pain suffering and hardship and hope this would be one step to preventing that. Thank you for inviting me to be your guest and all that it meant to me. The gifts were completely unexpected and soooooo welcome. That David Rocco cookbook is divine, I can’t stop re-reading it. The serving tray and vodka were put into immediate circulation on Friday night as a friend popped by for snacky bits and martinis. Thank you for the wonderful treats, and as fabulous as they are, the most wonderful treat of all was one you didn’t mention, the chance to spend some time with you! BEAUTIFUL story. Beautiful poetic meaning: slow down to do what you can 🙂 YES! I think I will replace “stop and smell the roses” with “slow down and help a goose”, from now on. Thank you so much for supporting BC Children’s Hospital – great to hear! Darrin, you epitomize everything good and sweet in the world. Thanks for the comment Kate. I completely agree! It is people like Darrin that are creating not only change but awareness and inspiration to others to give more in their lives. Thanks so much for the amazing shout out! I always love reading about someone’s first bite of Bliss! You are so welcome you are doing great things and make our mouths so happy! What a great business! Thanks for showcasing them here. Hi,Thanks for sharing this very good site. Very inspiring! keep up the good work…. This is a really great story – thanks for sharing! The idea of the “every day hero” is a really important one. There are so many inspiring people for whom a small occurrence launches a lifelong passion or leads to a product that improves lives. And with today’s connectivity there is much potential to take those actions of every day heroes even further, to get their stories out, as you do here. I recently started writing for an app/game that seeks to offer a forum for and recognition of these tiny moments that can be the spark to greater change. It’s called AOK (from acts of kindness) and it celebrates every day social heroes. I love it because you can start so small, and you see how a community of people doing even the littlest stuff makes an impact. Since working on the game and playing the it myself, I’ve noticed how much more driven that little extra bit of mindfulness makes me to reach out to those around me. Check out the game if you’d like at http://www.aok.tv, and let’s keep celebrating stories like this one where small moments yield real impact. Thank you for this. I love the app / game idea. Take that deep breath and jump! The little things do make an impact don’t ever forget it! I will check out the site and thank you! Followed you here from Lance’s site. Will send your link to friends also trying to do more good in the world. Excellent site! You know if people around the world banded together we could absolutely change our reality. (My gift is being an inspirational rebel.) I’ve done it on a smaller scale in my town. We get the world we agree to. Love that Chelsea has taken action. The hardest step to take. Lots of sad lives in the US and other developed countries because folks don’t feel needed. Yet, the need to be needed is huge! Thank you Giulietta for the comment. I love hearing from people that find 365give at some point. I agree if we all do something – on thing change could be our reality and the reality for the next generation. I love Chelsea as well and admire what she is doing. Thanks for reading! I will donate a hand made newborn hat to the baby. I was lucky enough to have specturm help me for nearly one year after I was suffering with sever post partum depression and my mom was diagnosed with breast cancer. Sally and her girls were able to give me childminding and breaks I would not otherwise get in my life. I can mail the hat, or drop it off at Sally’s house. Let me know which works. As I’ve recently went through a bunch of the toys our children have, I can easily say that we have more than we *need*. So, I love this idea of giving to those less fortunate, as you celebrate another’s birthday. What a wonderful gift to share our gifts! Thanks Lance! There are so many children with so much less. I am sure they will be so appreciated. Thanks for the comment! I love walking as transportation too – but another thing my brother has started me on is running for transportation. I love running for fun, but it is even better when I run to get somewhere I would have otherwise drove. Sometimes you need to plan ahead a little bit in order to run somewhere – ie: I brought my clothes and shoes with me to work on Friday, planning to run there today. Sometimes running with a stroller can help out if you need to carry things – it is even better if there is a kid in there. Although, I’ve been known to run with an empty stroller just to carry items. Love this Mother’s Day post! Did you read Nicholas Kristof’s Mother’s Day editorial? Thank Meg. A little behind. I look forward to reading it! Thanks for watching my first video blog so very nervous. I love the quote so true! Thank you so much for featuring me, Jacqueline! I’m honored. I apologize for my lack of communication via e-mail/twitter. I’m just getting caught up on my inbox now! You are so welcome. You are brilliant as a mom and women! You have a strong voice to share. A little conviction goes a long way. Thank you so much! Appreciate the kind words we can only do what we can do. Conviction does go a long way and I am thrilled to be convicted to giving. Thanks for reading! Sounds a lovely treat to be cherished by all! Knowing your mum in law you all have a treat…can’t wait to see her here in the jungle! Thank you Heather. Great to hear from you! Your site looks great as well. Love the pics! Thanks for checking in! So appreciate the support! I’ve started applying the Woody Allen maxim “80 percent of success is just showing up” to my friend and work relationships. It would definitely be easier to stay at home some nights, but I know how meaningful it is to me to have a friend (especially someone I don’t see often) come out to show their support for a special occasion, or make that little extra effort to spend time together. Now, even if I REALLY don’t feel like it, I’ll drag myself out the door to and make sure I get to friends’ parties or events. Even if I don’t stay long, it’s a good feeling to know that putting in some friendly face time is a meaningful thing. I’ve found that its always a better feeling to have attended than skipped out. Thanks for the comment Kate. Agreed it is always easier to stay home but great to show support to friends and family. Giving of your time and energy is huge and like you said showing up is half the battle! Hey there! I’m finally getting around to checking out and following all of the Top 30 Vancouver Mom Bloggers! I hope I’ll see you at the event tomorrow! Thanks Monica! Great ideas!. Sorry we didn’t meet last night I ended up having to run out soon after I arrived. You site and stories are lovely and I look forward to following. Please feel free to send any great giving ideas you are going with your family! Congrats on being one of Vancouver Mom’s top bloggers! and think of all the discounted risotto and beer you can get when you get to Seattle!!! Good luck, we are supporting you with a donation and in spirit!! have fun and lots of love to larry’s spirit….what a great gift he gave you and you are giving him back!! Nice one Jacqueline, thanks for trying out Bob & Jane and doing a little spot with me. I wish you many more refreshing shower scenes! Oh – and the product – it sounds great! I’m tempted to try it out!! Don`t be tempted I am telling you it`s amazing. Worth the order. I really just wanted you to see my ink after our chat about it! Thanks Lance! 365give, Thank you for this site. It is my first visit as Petfinders directed me here. 385give,Thank you for helping patients with ME/CFS and for saving homeless pets.. Thank you for coming to visit! I so appreciate your support. Thank you so much for your comment. I am sorry I missed voting time today. Please let me know if there is another place you can direct me. As a parent also I don’t have the luxury to be online all the time. I wish you the best of luck and look forward to hearing from you again. I love Cobs and fully support their effort to give back to BBBS! I have enjoyed all flavours of their scones but love the mint chocolate chip….perfect pick me up mid day and it becomes guilt free when you know it helps BBBS! Fantastic thanks for the comment. Sop in tomorrow and pick on up. Contest starts to win a $25 GC. That`s alot of scones! Take photo and we will post it on Facebook! We love COBS! Thanks Steve for all the support. You will love this recipe! Big virtual hugs! I love the apple and butterscotch flavour too! Such a great excuse to stock up on scones this weekend at Cobs 🙂 Support BBBS and enjoy scones for breakfast! I tweeted @jbinvan too! Over the last few years I have been very actively involved in community development in my home town. Its a really interesting thing I have noted, that it is often much easier to get teenagers to volunteer their time and energy to the community than it is to find adult volunteers! I have also been noticing how active Gen Y is all over the world. Are we all to busy as adualts that we have stopped making charity a priority? Thanks Meg! You are a wonderful person! What a great idea! Great cause! I wish there would be more people like you! Thanks Paul. So gracious of you to comment. I appreciate the support! Thank you so much, this is amazing! I hope people realize that this is what Vancouver really is. A beautiful, caring, compassinate, and proud city. Not the ugly the world witnessed lastnight. We will put the ugly behind us and remember the good in everyone. Thanks! Thank you so much for sharing this link Jacqueline. I plan on getting the football as well. I definitely will use this link for my future gift purchases. I hope you have a Happy Father’s day! You made my day! My Futbol is ordered and feel so great that a child will get one in Africa. Thanks for commenting and I too will use the site again and again! Thank you very much for the mention Jaqueline! We very much appreciate it, and love it when we have others supporting our mission. Way to give back! Thank you for all you do to change the world. If every company cared as much as you did we woudl live in a great world. Jacqueline you are truly amazing! Thank you, in so many ways, for bringing attention to autism and helping us in our journey to spread awareness. We are so exceptionally grateful for you and what you have done for the autism community. Thank you. You are so welcome. Thank you for all you do to bring awareness and raise money for autism. You truly were my inspiration. Hurt trees always sadden me! I love your solution because I was stumped. I would have wanted to save the tree, but it is too difficult and delicate of a situation to handle, unless you are the owner. You did the best thing. Such a great idea. I completely agree I hate to see a tree go down. The owner barely touched it and it came down. I hope my give help to ease the pain! Thanks Nicole! Oh, how sad for that tree! Is it totally beyond replanting? My act of kindness – donated graphic design to a small organization in a remote area of Uganda, with 180 orphans to care for and few resources. I want to help them raise funds. They were not able to save it. Very sad. With any luck a new one will be planted. Great for you for giving that support. Do they have a website maybe we can do a feature on them? Thanks for sharing, I just made a donation and will likely donate again in the future. Thank you for sharing this great organization that is making a difference. I’m sorry to hear that. Hope the wine eased the hurt a little. Yes, I’ve been working on this blog for them: http://www.handsofactionblog.com/ and they have a website: http://www.handsofaction.org/ Several media people have combined efforts to get them up on the web. This part of Uganda is very beautiful and mountainous, but they often have terrible landslides. This community lives on the rim of an ancient extinct volcano – so interesting! Thank you for asking! Good for you! I just discovered the today on twitter. You are up and running. I think I was the firs to follow Honoured! Stories like this, just melt your heart. Often times we dont get to see how the donations and charity efforts help folks. and this is definitely a full circle charity initiative, where not only are the kids learning responsible tips for bettering others and the world around them. But their teacher and the folks at cypress park are molding a new generation of thoughtful people. Hey, I love Angelique! Her music is excellent and apparently she’s a real great gal. Perfectly win win! Thanks again for another inspiring idea, Jacqueline! Just in time… my husband needs new sandals. I’m so glad to find Trees for the Future here on your blog! I first found them while researching the Ugandan community I’m working with. Trees for the Future helped the Ugandans after a serious landslide in 2010 killed several hundred people. They taught people how to terrace the steep hillsides (scary steep! ), established a tree nursery, and helped them with a fast growing plant to stabilize the slopes. They have photos of their work all over the world on Flickr, and photos of the Ugandan community begin here http://www.flickr.com/photos/plant-trees/3594182761/ . My husband loves them so comfortable. He got them at the Gap. They sell them and on sale! Enjoy and thanks for the comment. I love this post! As this blog illustrates, there are so many ways to give, but not all of them have to be monumental. I truly believe that small acts such as buying a stranger a coffee, holding the door open for someone or sharing a smile can have an impact – on that stranger and on you. These little things get you in the habit of giving, they bring giving to the surface of your thoughts, and they help you remember that you are one person among many people, all with intricate lives – and all with a need for friendly gestures now and again. Thanks for the comment Kate! A tough day that ended up leaving a good feeling in my heart. I even got a “give” back and Star Bucks sent me a gift certificate I plan to use to buy coffee and muffins for homeless people soon. Amazing how it just keeps coming around. Thanks for reading! Love Kiva! I am on my third loan. I gifted my grandfather with some Kiva credit a few years ago and he has kept it up to eight. Paying it forward is a great concept, and done without expectations it is a beautiful thing. Last week I saw a guy I barely knew , standing on a corner as i walked out of a restaurant. But his face looked vaguely familiar, as I smiled in passing he greeted me back and said he was relieved to see me. He went on to tell me how he had ran out of gas, and just needed a few bucks to put some gas in his car and proceed to picking his daughter up from school. And true to form as i peered over his shoulder, there was his car and his wife parked next to the side of the road. So i gave him a few bucks, smiled and didn’t think twice about it. Last thursday it was pouring rain here, and as I drove to work traffic was moving slowly. As traffic picked up, and i drove past there was another stranded female motorist who was having her car pushed into the gas station, by another gentleman. Believe it or not, it was the guy i had helped . He had pulled his car to the side, to help the lady out! I felt really good that day!! I wish more people would pay it forward some days! Thanks Chris! I am thrilled to be part of Nick & Anita’s book drive. It’s the little things we do together that make the difference. Thank you so much for posting about our book drive! It is the kindness of people like you that are helping to make a difference in the world and help motivate others… I am blessed to have met you. It is my honour to have met you Anita. You and Nick are truly changing the world and doing the one thing that will make a permanent difference in Africa. Thank you so much for helping to spread the word about ALP and for your project overall. It is very inspiring! I love reading about all the varied big and small gives. I applaud you for taking the time to give and also taking that extra step to share your discoveries with others. I’m sure the next 70 days will bring even more. Thanks Deborah. I’m glad I could help the project. Your organization is doing what is truly needed in Africa. I hope it shows more people we can do something in our lives every day that doesn’t have to cost a lot of money to make a big change. Yes, you are doing a good job as a parent if you have managed to teach your son to give. I believe that in the egocentric world we live in, this is a quality that only a few will develop. With news like this one: http://www.dailymail.co.uk/femail/article-2032329/Showing-fashion-hauls-thousands-strangers-online-shopaholics-young-TWELVE.html I get more and more positive that good and sensible deeds are already only in books, and well… who reads books nowadays? We have to join forces and work together for a better world. Thank you so much for this comment Sonya. So glad we have found each other. Seems we have a lot in common on our sites – making the world a better place than when we started. I completely agree our kids have to much of everything these days and we forget to teach them the simplest things like “giving”. Let me know if you have a post you would like to share with 365give. Always happy to have guest writers. I use giveback.org. Similar concept, but they call it a “personal foundation”. You can also make donations through it, but I prefer Crowdrise for that. Thanks for the input Anne. They more great sites we can get out there that are doing social good the better. Thanks for the comment! This is wonderful. I want to do a program like this in Tanzania! I gave because no girl should have to suffer or be embarrassed or marginalized for her natural progression in life. YOU GO GIRL! Thanks Kay! I think the program is great too. Let’s chat if you want to get it going one day. I am sure the Women in Red would be happy to discuss it. Thanks so much for giving and the comment. How wonderful that a twelve year old is making a difference with his videos. Sounds like a movie maker in training. Thanks for sharing. Thanks for the comment Cathy! I will be watching Mac for his first Red Carpet appearance one day when he wins his first documentary Gold Statue! It truly makes my heart sing to see the next generation making a difference and understanding the challenges in our world. I have to agree with you J, craigslist is the best. When i bounce between florida and new york , i always use craigslist to sell and buy apartment furniture and cool stuff. Good deals and nifty way to help out by reusing. Love to hear that. That is quite a bounce by the way? Do you have Craigslist in Bahamas? I am so, so, SO happy for all of you! And especially for your new son – as I can just so deeply feel the love that this new life is going to experience in your presence. Know that I’m [heart] smiling…and sending my love and hugs to all of you! Thank you Lance. My dream come true and truly a miracle. My family finally feels complete. As much as a give it is a gift! So thrilled for you. So happy to be part of this journey. So blessed by further evidence that miracles DO happen and we really CAN create the life of our dreams. Much love to you all! Thanks dear friend. You can make your dreams come true. You just have to believe with all your heart and soul. I was truly tested with my son as we lost him when he was first born. I was told to keep the faith / hope and I did and my miracle came home. Yeh! Jumping up and down now! that was a very touching story. I’m glad you chose to share it with us , your readers, supporters and fans at 365give. I wish you and the buddha boys the best and endless days of joy. Thanks F-C!. I feel honoured to have made so many great friends through 365give. I feel like I have this great village out there and just want to share my gift with you. Yeh to miracles! We are so happy for you! Thank you for being patient and making a difference in the lives of these wonderful miracles. Thank you for all you do. I feel so blessed to have adopted both my children and even better they had brilliant foster parents until they were able to come home. So many children that need homes right here in Canada. We are thrilled we believed in the system and it can bring families together. I respect your opinion. We all have a different outlook it`s the great thing about life! It has been such a joy getting to know you over these last several months…and to just see the good you are highlighting in this space you have created. And…I very much look forward to the new directions that will evolve. You are an inspiration! I am fortunate to have met you in twitterland. I look forward to reading about your future ventures in giving. Sending lots a love to you and your family. Steve thank you. I am blessed with such great friends I have made via 365give and you would be one of them. Thank you for all the support and encouragement. If I could go back, w-a-a-a-y back, to when I was twelve, I would wish that I could have the awareness and the heart that Mac is demonstrating. He is one very cool guy. Amazing isn’t he. He is one to watch. I know one day he is truly going to rock the world. To have that kind of insight and passion! Can anyone say C-R-Y….that was such a great video and if you have not watched it do so! Though things like this have happened before on the Talent shows, this one is special…very special and I thank both Jacqueline and Mission Possible for sharing this! Great thank you. Where are you from? I’d love to help. Please send me an email with details. Thank you so much for your blog post about my climb. My journey to Africa begins tomorrow starting from Mexico. Next week before my climb I will be meeting with NGO’s and talking to women about their plight, their goals and dreams for a better life. I hope to make as many dreams come true. I truly appreciate merely reading through all of your weblogs. am that value work. Certainly a great submit. Less difficult off and away to a person! The data you have discussed is simply very helpful. site came up, it appears to be like good. I have bookmarked it in my google bookmarks. I am going to read about this all day!! I hope you have an RSS feed I could possibly sign up for. I’ve been scouting on the net with respect to information in relation to Random Acts of Kindness. I am genuinely grateful to the owner of this web page who has shared this wonderful paragraph at at this place. a great author. I will make certain to bookmark your blog and definitely will come back very soon. I have learn a few good stuff here. Definitely price bookmarking for revisiting. I surprise how a lot effort you set to create one of these excellent informative web site. Hey there! Someone in my Facebook gгoup shared tҺis weƄsite with us so I came tо check it out.